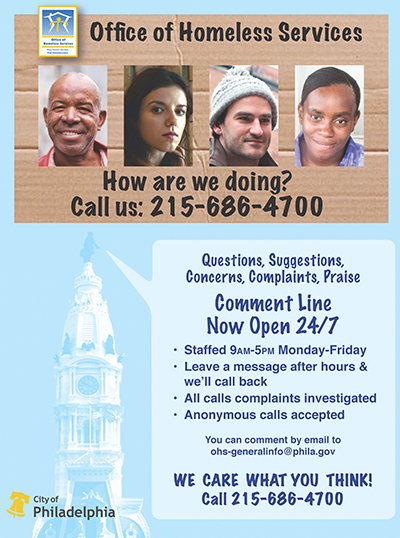 make homelessness rare, brief and non-recurring in the City of Philadelphia. Homeless Services works collaboratively with more than 60 mostly nonprofit homeless housing and service providers, city, state and federal government entities to comprise Philadelphia’s homeless service system that provides emergency housing and services to people who are both homeless and at imminent risk of homelessness. It includes homelessness prevention and diversion, short and long-term rental assistance both with and without case management.